The Hawaiian Island of Oahu is packed with places to make unforgettable memories. There are different regions of the island that will give you totally different vibes and overall experiences during your stay. 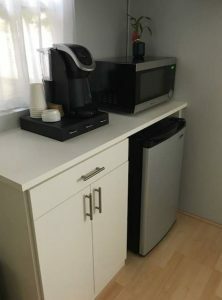 I’m going to break down the different places for your vacation but I’ll start with telling you where we stayed and you might be surprised because we stayed at an Airbnb rental! To be honest, I’ve always opted to stay at the Westin when I vacay in Hawaii. However, my boyfriend is a professional golfer and on this trip we needed to stay near the course where there were no hotels nearby. So we stayed at an Airbnb which felt like a home away from home. Plus, I learned from this experience that it costs WAY less than a hotel and it can come with a lot of perks hotels don’t offer. Ewa Beach (pronounced Ev-uh) is a residential community that is very safe and filled with beautiful new development. We absolutely loved it. In fact, I was checking out Zillow to see if maybe we should just move there! This is the exact Airbnb we stayed in. It is $80 a night!!! We had everything we needed and more. The place looked even better than in the pictures. It was clean, quiet and cozy. 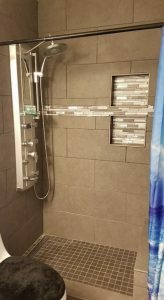 The shower was amazing and the bed was super comfy. Our host Tina provided bottled water, wine, snacks, and coffee. Plus she let us use everything we could possibly need when out having fun. She loaned us beach chairs, towels, sunblock, beach mats, snorkeling gear, beach bags, everything! That saved us so much money not needing to rent that stuff! 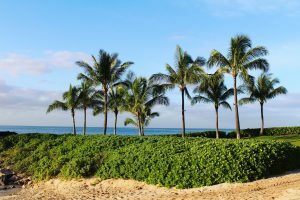 In my opinion, Ko Olina is the most family friendly of all of the regions on Oahu. There are four man made lagoons where kids can play without giant waves crashing down on them and it’s a very relaxing experience to spend a day at the lagoons. Ko Olina is also home to Disney’s Aulani Resort. I am a huge fan of all things Disney so I loved checking out this hotel. Although I was not a guest, the staff let me hang out at their beachfront coffee shop and rented a paddleboard out to me. 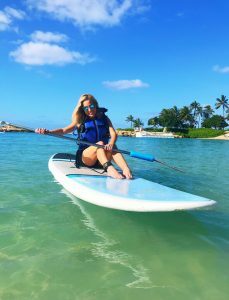 If you’ve never tried paddleboarding before, this is a great place to learn because the water in the lagoon is so calm. It was $40 per hour to rent the paddleboard from Aulani. There is also a great shopping center near the resorts. I loved the store called Plantation. I got local beer, a great happy hour dinner and delicious banana cream pie at a restaurant called Monkeypod. When most people think Oahu, they think Waikiki. It is the island’s hot spot. I stayed in Waikiki a few years ago and since, I have described it as “Vegas on a beach”. If you like Vegas, you’re going to love Waikiki. If you’re looking for a calm vacation away from a ton of tourists and lots of action, see options 1 and 4. I stayed at the Westin Moana Surfrider and the hotel is absolutely gorgeous. There’s an incredible pool and great beach access with beautiful views and pretty good snorkeling. The rooms are about $300 per night. Perks of staying in Waikiki include that you’re very close to some scenic spots like Diamond Head, Koko Head, Hanauma Bay, shopping and amazing dining! This area is known for big waves and the filming location of the movie Forgetting Sarah Marshall. Honestly, I’ve never stayed here but we checked out the whole island and the beaches up north are stunning. 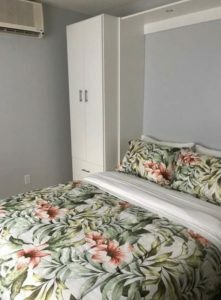 The vibe in North Shore is very relaxing unlike Waikiki and while kids are of course welcome there, it truly seems like the perfect spot for a couple’s getaway. The hot hotel in North Shore is Turtle Bay Resort. You’ve seen this resort if you’ve watched Forgetting Sarah Marshall. While, Mila Kunis will NOT be checking you into your hotel, you’re still going to love the views you find at Turtle Bay. This hotel often offers package deals and right now they have some Valentine’s Day promotions.